RB Operations Control Centre (OCC) was officiated by Guest of Honour YB Dato Paduka Haji Bahrin Bin Abdullah, Minister of Development and Chairman of Royal Brunei Airlines. 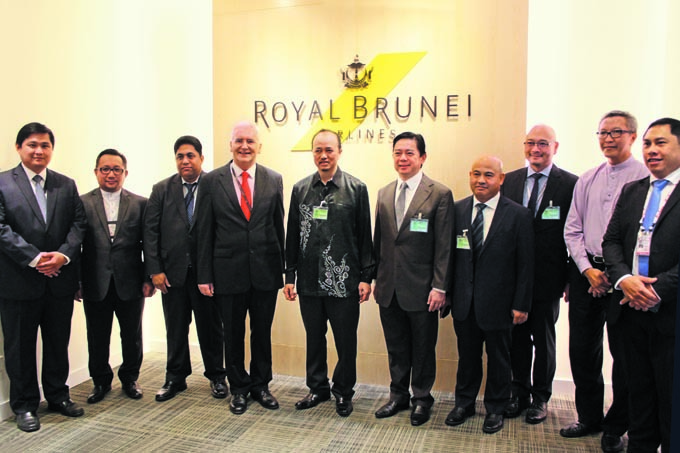 The event was held on 18 March, 2016 at Brunei International Airport. 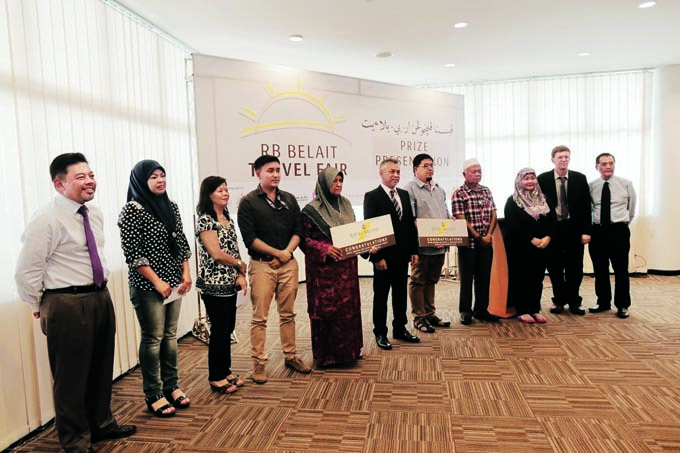 Royal Brunei Airlines (RB) was proud to host this year’s 11th Belait Travel Fair (BTF), which took place from 5-6 March, 2016 at Pusat Insani, Seria. The BTF grand lucky draw winners were presented with their prizes on 5 April, 2016. The fair was supported by Sabre Travel Network Brunei (Official Global Distribution System), Baiduri Bank (Official Bank), Bank Islam Brunei Darussalam (BIBD), DST Sdn Bhd and Tourism Malaysia. Participating travel agents were Anthony Tours, At-Taqwa Travel Tours, Century Travel, Darussalam Holdings Sdn Bhd, Freme Travel Services, Pan Bright Travel Services and Southern Cross. RB was featured in Danang’s music video launched on 18 April, 2016. Do check out the D’Academy Asia winner’s video at: www.vidio.com. RB was also featured by two Taiwanese TV hosts for ‘Supertaste Me’, Hsieh Hsin-Hao and Chen Bing-Li, who held a reality tv show around Brunei with RB Brand Ambassador, Wu Chun. Catch their show in the upcoming months. As part of RB Corporate Social Responsibility, RB’s Welfare & Benefits and Management Information System teams donated 27 units of computers to Pusat Bahagia under the auspices of the Ministry of Culture Youth and Sports on 19 April, 2016. 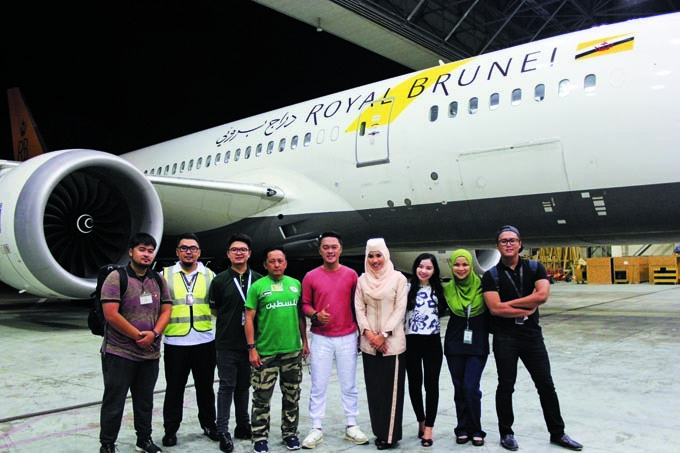 Royal Brunei Airlines (RB) launched its newly refurbished and rebranded office at CentrePoint Commercial Centre (Phase 2) located on Kubu Road, MCLD in Miri, Sarawak. Officiating the event was RB Headquarters representative and RB Head of Sales, Christina Chua and RB East Malaysia Country Manager, Christopher Chang. RB Miri Office was established in 1994 to oversee travel agencies in Sarawak and cater to RB’s customers in Miri.